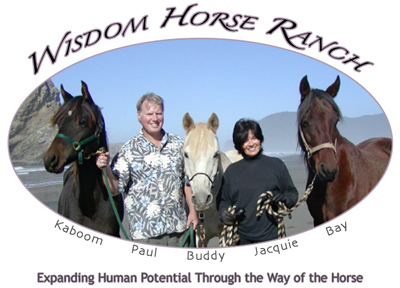 The Wisdom Horse Ranch approach to wholeness includes interacting with horses to learn more about ourselves and how we relate - to ourselves, and to others. As Epona approved facilitators we provide tools to help promote personal growth in many "arenas"... leadership, assertiveness, communication, and emotional fitness, to name just a few. 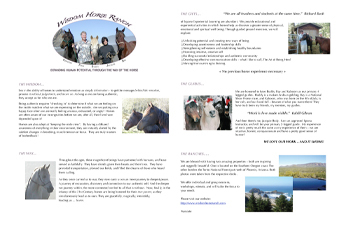 To begin your tour, please click on our brochure below!